As we're getting closer to the end of term the weeks have been flying by. Little N will be leaving preschool in a couple of weeks and moving on to nursery school in September, so it's the end of an era. I'm excited but at the same time, it makes me a little sad at how fast he is growing up. Do you ever feel like that about your children? Our weeks seem to be incredibly busy at the moment too! A trip to the cinema. Ian and I took them to see The Secret Life of Pets and it was brilliant, I thoroughly recommend it. We watched it in 3D and Little N has been wearing his glasses every day since then. I hope they won't damage his eyes! Afternoon tea after our return visit to Moggerhanger Park. It's not often that Ian and I get any time alone together so this was a very rare treat! We had a wonderful afternoon and you can read more about it on the blog soon. 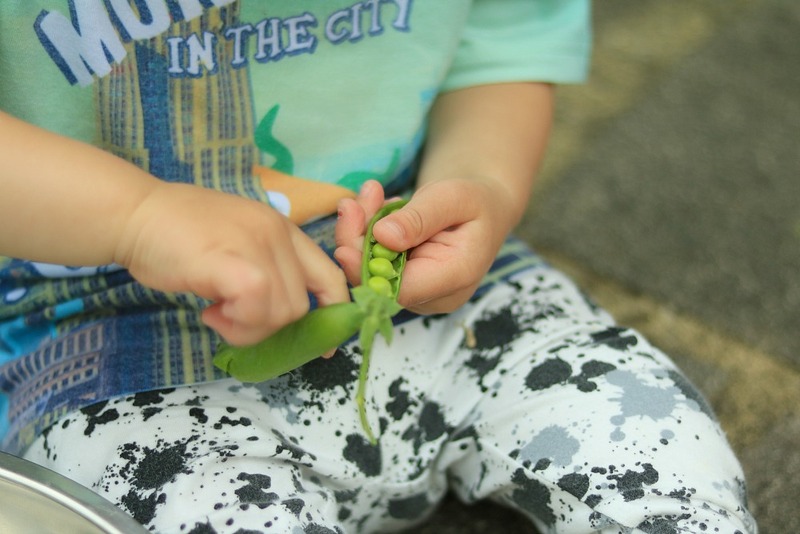 Harvesting peas. We've got so many growing on our living den, however J is an absolute pea fiend and is eating them faster than I can shell them, so nobody else has had a look in! It reminds me of when I was a little girl helping my great-Nanny and Grandad to shell peas in the summer. I have such fond memories of my time with them. Car shopping! We have found our ideal car after reviewing the Peugeot 5008 and put a deposit down last weekend. We should be able to collect it this weekend and I can't wait. It will be so good to have my own set of wheels again. My stepson nailing his swimming trial for the local club. He's been having swimming lessons regularly for a few years now and is super fast. We took him for a trial at the swimming club in our town and he got accepted, but not only that he's skipped the D squad and has gone straight into C squad! We're really proud of him. Clear skin. I know that might sound really vain but after battling with troubled skin for so long I am chuffed that this week I have had a few days of blemish-free skin. Even my Nanna commented that I look different and that is all that has changed! Another photography workshop with Kasia. This time it was an evening portrait workshop and we had hoped to get some "golden light" but the pesky clouds got in the way. I learnt lots though and another student lent me one of his longer lenses to try so I got to experiment more. Hopefully I can get out to the fields myself when the evening skies are a bit clearer. A night of pampering. Little N's preschool held a fundraising pamper evening where we could book mini treatments and enjoy cake and prosecco. It was lovely having a "night off" and it was nice to get to know some of the other mums a bit better. After such a busy week it looks like we have a quiet weekend ahead of us so I am looking forward to taking it easy. Have a good one! Oh a night of pampering yes please! I love the idea of harvesting the peas too. Congrats on the new car! Ahh sounds like an amazing week!! We're reviewing the 5008 soon, I'm excited to see how good it is now!! We so need a bigger car!